A total solar eclipse will be taking place across East Asia, North and West Australia and Oceania on Wednesday, March 9. A solar eclipse happens when the Moon passes between the Earth and the Sun, thereby totally or partially obscuring the image of the Sun as viewed from the Earth. 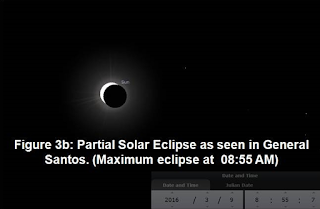 In the Philippines, the celestial event will be observed as a partial lunar eclipse which will start at 07:51 am, will have its peak at 8:58 am and will end at 10:14 am. 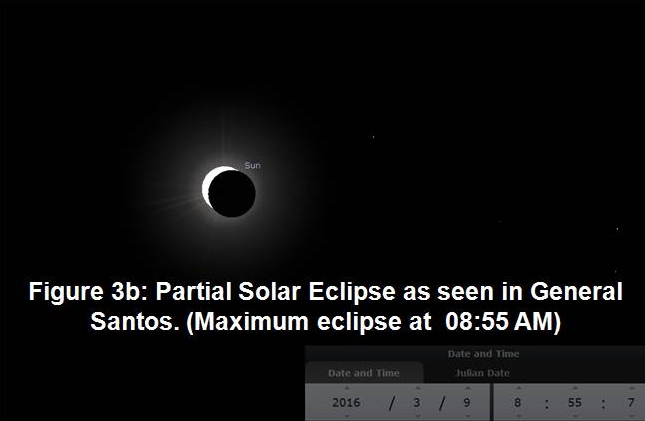 According to the PAGASA, Mindanao will have the best view of the eclipse with 80% eclipse obscuration, which is the fraction of the Sun’s surface area covered by the Moon. Luzon and Visayas will have eclipse obscuration ranging from 30-60% and 60-70%, respectively.